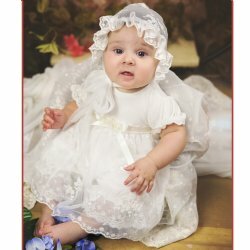 A Christening is an important event in your baby’s life. 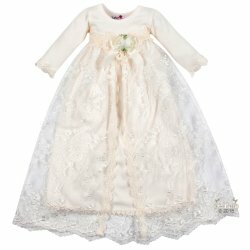 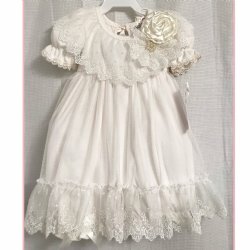 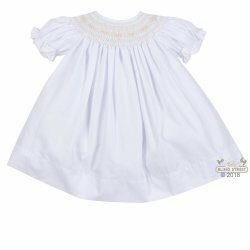 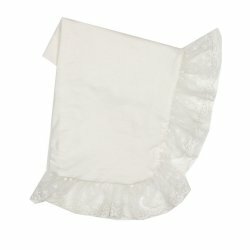 And, what better keepsake to cherish from that memorable day than a beautiful Christening gown, blanket, or after Christening outfit that we feature below for your baby girl or baby boy. 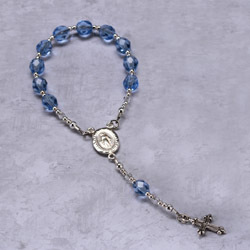 We also sell religious baby jewelry with just a subtle touch of baby bling to pair with her Christening gown. 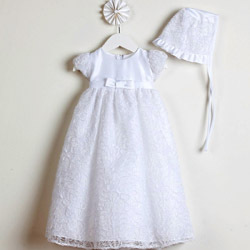 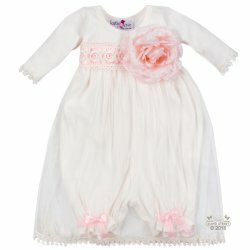 We feature some gowns at size Preemie.